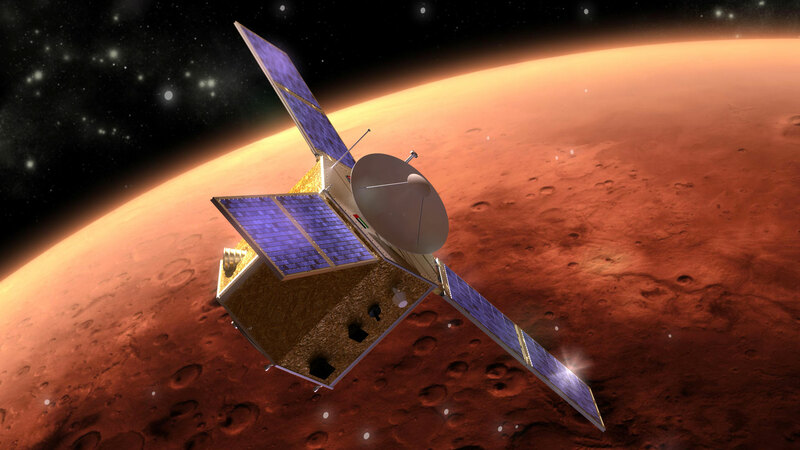 Scientists from the United Arab Emirates have announced the Arab world’s first Mars probe will launch in July 2020 and collect global measurements of the Martian atmosphere. Assuming a launch in 2020, the robotic probe will fly on a seven-month cruise to the red planet and enter orbit in early 2021, the 50th anniversary of the UAE’s independence from the United Kingdom. If the program achieves its goals, the mission would place the UAE among a short list of entities with successful Mars probes, alongside the United States, Russia, the European Space Agency and India. The UAE’s Mars mission will carry three major science instruments to measure the structure and makeup of the Martian atmosphere, and officials plan to share the mission’s projected 1-terabyte data haul with scientists around the world. UAE authorities unveiled the mission plan May 6 in a video posted on YouTube. Top government officials, including the UAE’s prime minister, also received a briefing on the project. This week’s announcement added new detail to a Mars mission concept first revealed in July 2014. Officials also announced the mission will be named “Hope” after a campaign soliciting suggestions from the public. 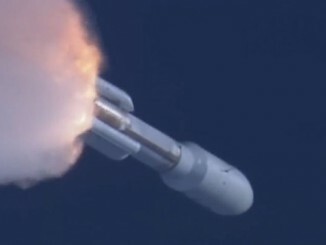 Officials from the wealthy Gulf nation have not disclosed the cost of the Mars project or a launch provider for the mission. Project managers said the Mars mission is led by a 100 percent Emirati team based in the UAE, which currently comprises 75 engineers and researchers. The number will grow to more than 150 by 2020, according to a statement issued by the UAE prime minister’s office. The car-sized spacecraft will weigh about 1,500 kilograms — 3,300 pounds — with a full load of propellant for the journey to Mars. Once in space, the probe will extend three solar panels to generate electricity for the mission. According to the mission’s website, the craft will carry a color camera and infrared and ultraviolet spectrometers to study temperature patterns, look for ice, water vapor and dust, and measure the atmosphere’s motion and structure. The spacecraft will enter an elliptical orbit around Mars with a high point about 44,000 kilometers (27,340 miles) above the planet and a low point at an altitude of 22,000 kilometers (13,670 miles). 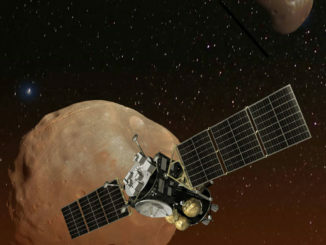 No Mars mission has ever operated in such an orbit, which will offer persistent views of Martian weather patterns as the planet rotates underneath the spacecraft. The University of Colorado Boulder has partnered with the Mohammed bin Rashid Space Center, which manages the Emirates Mars Mission, to provide engineering, mission operations and scientific support. The Boulder-based Laboratory for Atmospheric and Space Physics will lead the university’s role in the mission. The same lab is headquarters for the science team behind NASA’s MAVEN orbiter, which arrived at Mars in 2014 and has science goals aligned with the UAE mission’s objectives. The UAE also has agreements with the University of California, Berkeley and Arizona State University. The UAE Space Agency was established last year and has held talks with U.S., Russian and French space agencies to discuss collaboration on future space missions. The UAE’s primary experience with space missions to date is with foreign-built communications and Earth observation satellites.